The excellent “Punk Britannia” set of three documentaries has been re-shown and is available on iPlayer for this week only. via BBC iPlayer – Punk Britannia: Pre-Punk 1972-1976. An unlikely cast of characters set the scene for punk in early 70s Britain. Reacting against overblown super rock of the day and the glam their younger sisters like on Top of the Pops, pub rock set the template for punk. Small venues, fast retro rock ‘n’ roll and bags of attitude typified bands like Dr Feelgood, Ducks Deluxe, Kilburn and the High Roads and Eddie and the Hotrods. These bands engendered a small London scene which is sometimes forgotten and helped define the Pistols, the Clash and the Damned, both positively and negatively. 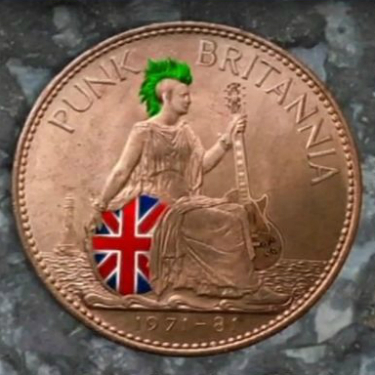 via BBC iPlayer – Punk Britannia: Punk 1976-1978.
via BBC iPlayer – Punk Britannia: Post-Punk 1978-1981.